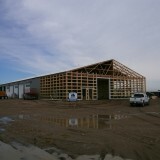 Located in Woodlands, Manitoba this project consists of a new 176’x 65’x 18′ stud framed building. 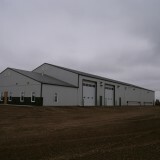 The building houses 10,000 sq./ft. 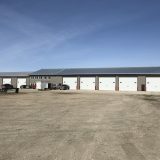 of shop space, a wash bay, a parts/ storage room, and 2500 sq./ft. of office space. A feature in the shop is a 1.5 ton free standing jib crane. 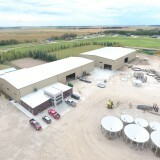 Located in Bloom, Manitoba this project consists of a 40’x 150’x 40′ Pre-Engineered steel frame structure with a 24’x 150′ track side, rail car loading bay. 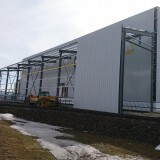 The structure is linked to an existing Edible Bean processing plant. 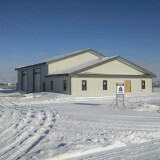 Located in Notre Dame, Manitoba this 55 plus condo complex consists of three duplex houses for a total of six suites. Each suite is approximately 1200 square feet with an attached garage. 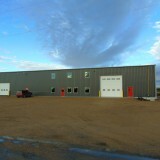 Located in Carnduff, Saskatchewan, this project consists of a 36′ x 80′ x 16′ post- Frame addition onto an existing building. 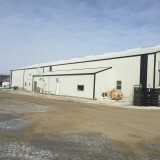 The building is insulated and lined with a finished concrete floor. 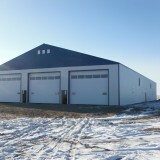 Located inEstevan, Saskatchewan, This building is a 60′ x 196′ Post- frame structure.It consists of 60′ x 136 ‘ of shop space, and 60′ x 60’ of office space.